Friday, December 28 @ 7:30 p.m.
Saturday, December 29 @ 2 p.m. & 7:30 p.m.
Sunday, December 30 @ 2 p.m.
A joyful holiday-cabaret extravaganza with upbeat tunes, Christmas carol sing-alongs, mystery audience presents, and the Limbo! 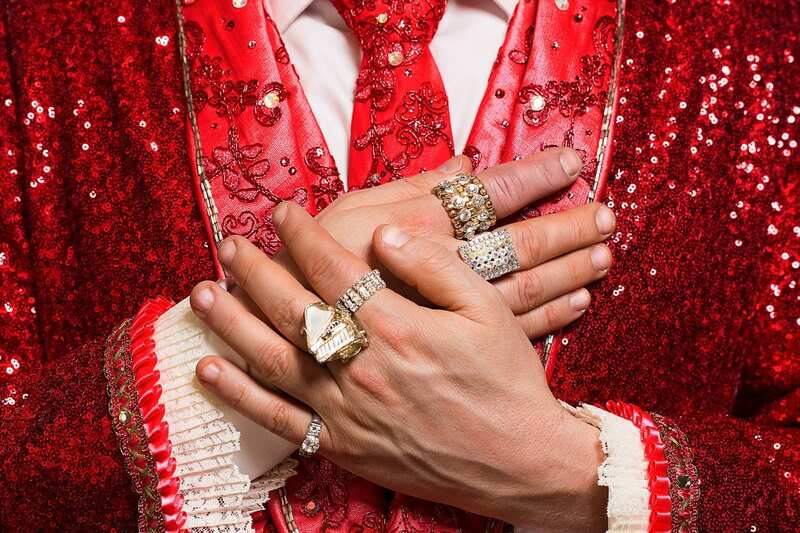 David Saffert shares his brilliant piano skills, glamorous costumes, and that trademark, unforgettable wink as Liberace while Jillian Snow Harris croons and delights as Liza Minnelli. Bo Ayars, Liberace’s arranger/music director, conducts the show. Tickets are $44 in the premier section and $40 in the upper section. Accessibility Needs: Please call us at 503.620.5262 if we may assist you with ordering wheelchair and handicapped accessible seating or other needs.